In a court order filed Friday, October 19, former University of Central Florida football player Donald De La Haye must turn over his financial records to UCF in the ongoing DE LA HAYE v. WHITTAKER First Amendment lawsuit. De La Haye earned a scholarship as a punter for the football team before that scholarship was revoked in 2017 after disputes arose between the YouTuber and the NCAA. 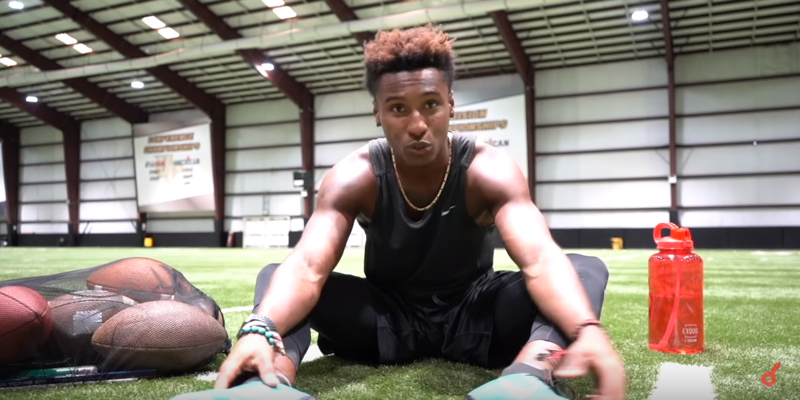 De La Haye’s source of income had long been making YouTube videos under the username ‘Deestroying,’ some including his status as a UCF student-athlete. The university and NCAA raised issue with the student earning revenue while using UCF’s facilities and likeness in those videos. Nevertheless, the NCAA presented an individual waiver for the student to keep his job, but with an ultimatum: he may continue making monetized videos while playing as a punter as long as mention of his status as a UCF student-athlete was removed, or voluntarily choose to continue make videos however he please, but give up his scholarship and position on the football team. The choice allowing him to stay granted him two YouTube pages. One could be monetized, but could not violate amateurism – to protect student-athletes from exploitation by professional and commercial enterprises – and the other to include whatever he wants, as long as it was not monetized. De La Haye elected to continue making YouTube videos freely, leaving the team, but later sued former UCF president John C. Hitt after his counsel claimed: “without his scholarship, he was unable to pay for his tuition and took leave from UCF,” according to the lawsuit. In June 2018, UCF made a motion to dismiss the case on the grounds that First Amendment rights were not the issue. UCF’s outside counsel Rick Mitchell and vice president and general counsel Scott Cole claim that allowing De La Haye to mix personal videos with advertisements and UCF football creates unwanted situations and that no student-athlete, regardless of their position, is exempt from the NCAA’s rules. “At the core, this case is not really about free speech. No one at UCF ever told Mr. De La Haye he could not speak his mind on YouTube,” Mitchell said in court. Mitchell claims that De La Haye disenrolled from all his classes Summer 2017 when the issue arose and that UCF went to bat for the student-athlete, preparing and submitting to the NCAA a comprehensive legislative waiver through its compliance office. John Riches and Rob Henneke, on behalf of De La Haye, claimed that UCF did not like the content the student posted and asked him to change the content, creating a content-based discrimination of speech. Riches stated that the UCF financial aid office had a deliberate choice in allowing De La Haye to continue receiving his scholarship, however rescinded that opportunity. The court wrestled with plaintiff’s counsel on whether a precedent had truly been set in their supporting cases or if the counsel was attempting to create new law through the court. De La Haye’s assertion that his new financial status caused him to involuntarily leave school led the court to order that UCF’s motion to compel was granted and his financial records must be turned over. The discovery related to De La Haye’s financial circumstances would be relevant, the document stated, and UCF is entitled to discover if De La Haye would financially be able to attend the university without reinstatement of his scholarship. UCF is attempting to use the former player’s financial records to argue he has no standing to bring the lawsuit arguing UCF pulling his scholarship caused him to be deprived of his college education. If the judge agrees with UCF’s standing argument, it would allow the judge to throw out the case without reaching the merits of whether UCF actually violates the First Amendment.